Here's the helm of it all. 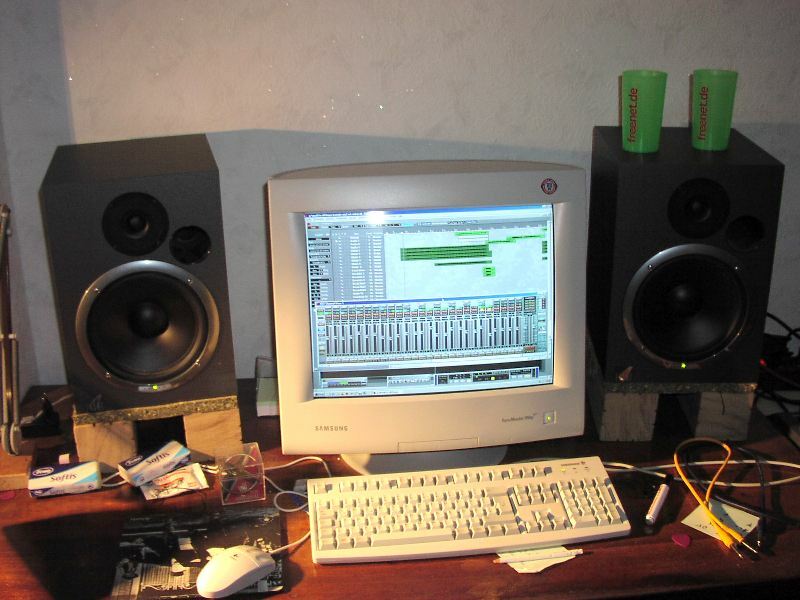 Running cubase quite nicely. And displaying my little Event 20/20bas monitors.